When promoting your business, having a blog is an integral part of customer engagement. A blog is designed to keep your audience engaged and entertained, positioning yourself as a leader in your field. Putting together content that will attract and keep readers takes strategy and an understanding of what your target market wants to hear. You should have informational topics that address a need while keeping reader interest. Having an interesting title is your first step in attracting attention. Think carefully about how you can add spice to a topic that can seem boring and relate it to your audience. You want to pull the reader into your title to get them to read the content. This should help you develop titles that pop. For instance, if you’re giving tips on writing, “Cooking up Great Content” would work better than “Writing Good Content.” It’s engaging, witty and leaves the reader wondering what’s in the blog. Your content is the driving force of audience engagement. Using a variety of topics will keep your readers interested in what you have to say. Every topic does not have to be rigid. You can write blogs about other companies and what they are doing, which also helps get their readers interested, or show your human side by highlighting people in the company. When providing content to the public, it’s always good to mix it up. Having varied pieces is just one aspect of engaging content. You should have pieces that are short, long, have video and infographics. It’s all in how you present the content that will keep your audience coming back for more. SEO is an important part of your content strategy. You should pay attention to long-tail keywords, meta titles, meta descriptions and H1 headings. All of these are a factor in directing traffic to your site. 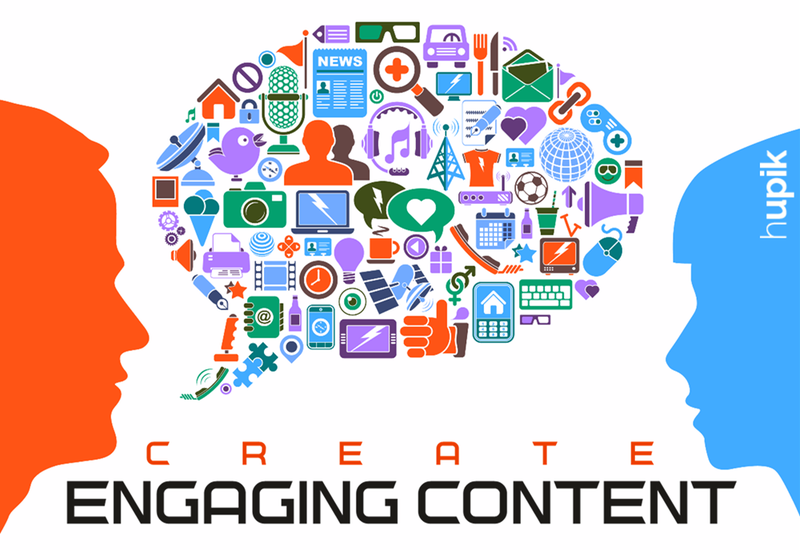 Linking internally to other blogs that have relevant content is also a part of customer engagement. If you can keep them clicking, you’re doing something right. Using these techniques play a big part in creating content that will deliver. It is important to employ a number of methods in your digital content strategy to meet the needs of not only your target audience, but the individuals that come across your site through referrals or your social media networks. Once you’ve mastered your content, getting the word out is the key. How Can I Get My Content Out to the Masses? Creating partnerships is the key in getting the word out. By having partnerships with other business and organizations, you are getting others to promote your content and your business. Networking is key. Being a part of organizations that will embrace you and your content will give you instant exposure. Know what your competition is doing to get the word out and enhance your strategy to do it better. You can’t succeed if you don’t know where you’re going. Don’t just put your content on social media – you have to engage with your audience. Join conversations and don’t make it all about you. People appreciate companies that have good content but are also actively involved. This is a great way to draw people in. These are key tips in creating great content. The rest is up to you!